Utilizing a long term, paired deer exclusion/invader removal experiment in a deciduous forest in Western PA (with Kalisz lab), I am currently investigating the consequences of overabundant deer on the demography and physiology of understory herbaceous perennials. 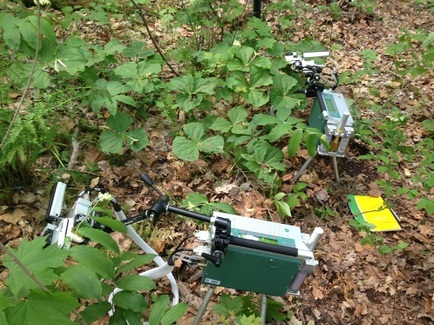 Collecting new physiological data, alongside ongoing demographic monitoring that has been collected by the lab since 2003, I am testing hypotheses on the role of deer in facilitating non-native plant invasions and their influences on native plant demography and physiology. Herbarium specimen of Alliaria petiolata, an invasive forest herb, collected in 1956 at Trillium Trail. Biological collections are an immense but under-utilized resource in ecological research. 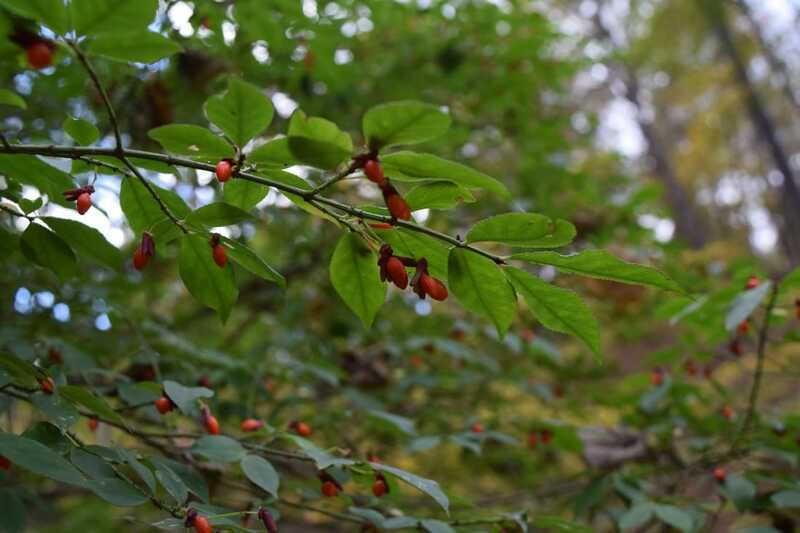 Functional trait studies utilizing herbaria are even fewer, despite demonstrated potential. 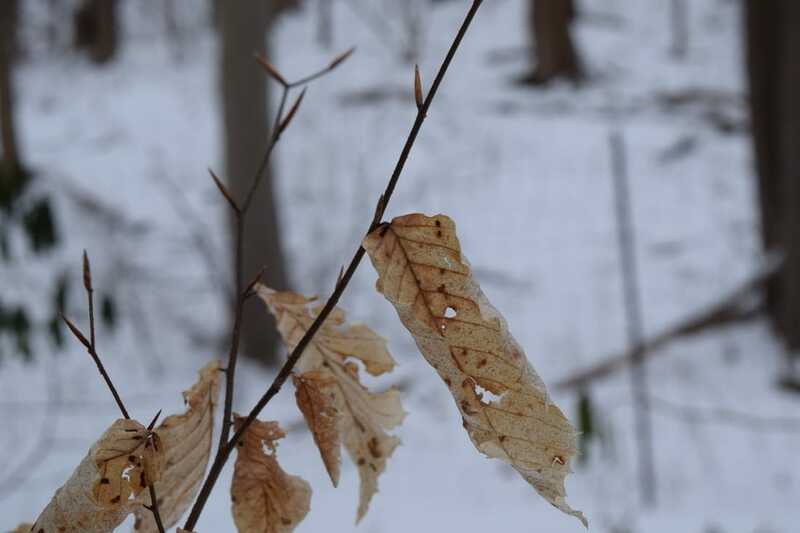 My newest research seeks to leverage decades of herbarium collections to track phenotypic change through time and space. Of particular focus are using these data to understand the possible role of trait changes through the course of species invasions and to assess the role of local adaption to predict species success. 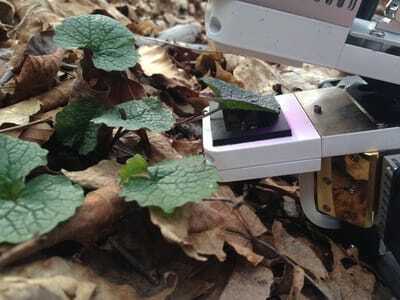 The globalization of human activities has resulted in the movement of plants around the world - an ongoing reshuffling of species serving as one of the largest unplanned experiments in ecology. I am interested in what traits or strategies make invasive species successful, and whether invaders follow different physiological tradeoffs than native species. I am using common garden, field, and home-away comparative approaches. A secondary forest heavily invaded by non-native shrubs and vines in western Pennsylvania. 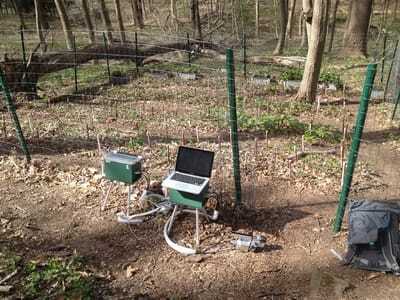 Measuring leaf gas exchange of forest plants in the herbaceous layer. Many wildflowers in the understory photosynthesize before the overstory canopy has leaves. Therefore, these species utilize the high light levels before canopy shading, but this trades off with low temperatures and a shorter growing season. 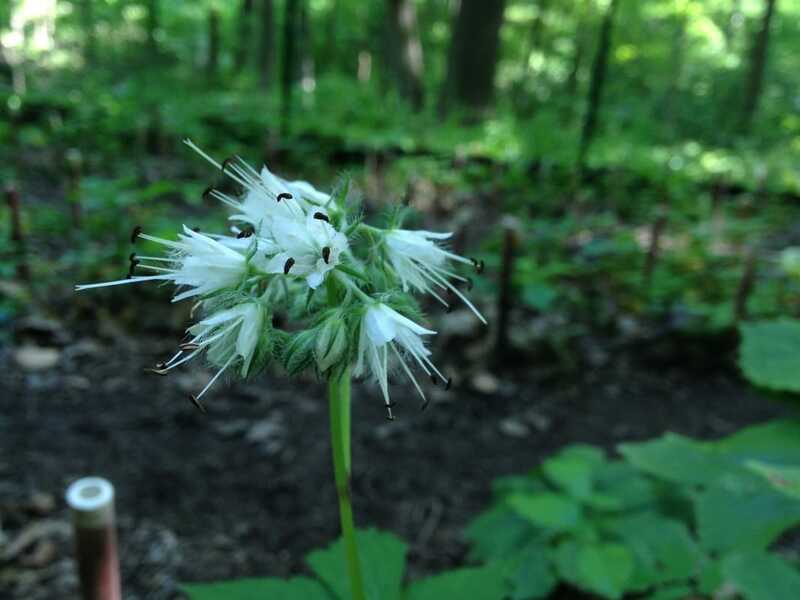 I am interested in the trait strategies of spring ephemerals and other understory perennials with differing phenologies and AMF dependencies, as well as quantifying the relative importance of early spring light levels on yearly carbon gain. In addition, I am testing the mutualism disruption hypothesis, where invasive species impact natives through the inhibition of their mychorrhizal symbionts. I am measuring the physiological rates of 8 native herb species and testing the effects of garlic mustard invasion on these traits in an in situ common garden. Much of my current research above is couched in terms of biological invasions, but fundamentally, a core interest is understanding why plants from different regions of the world might function differently, despite similar present day abiotic conditions. Are plant resource-use strategies shared between biomes and evolutionarily distinct plant communities or are they constrained by their biogeographic histories? Are certain regions more likely to invade other regions, due to the evolution of "unique" trait combinations? The Geography of Flowering Plants Ronald Good (1947) Biogeographic regions of the world. Each area represents a major center of plant evolution and diversification.